GB Tran made some major waves with his 2010 debut, Vietnamerica. A master of framing, Tran creates a visual voice that’s both instantly recognizable and filled with meaning. 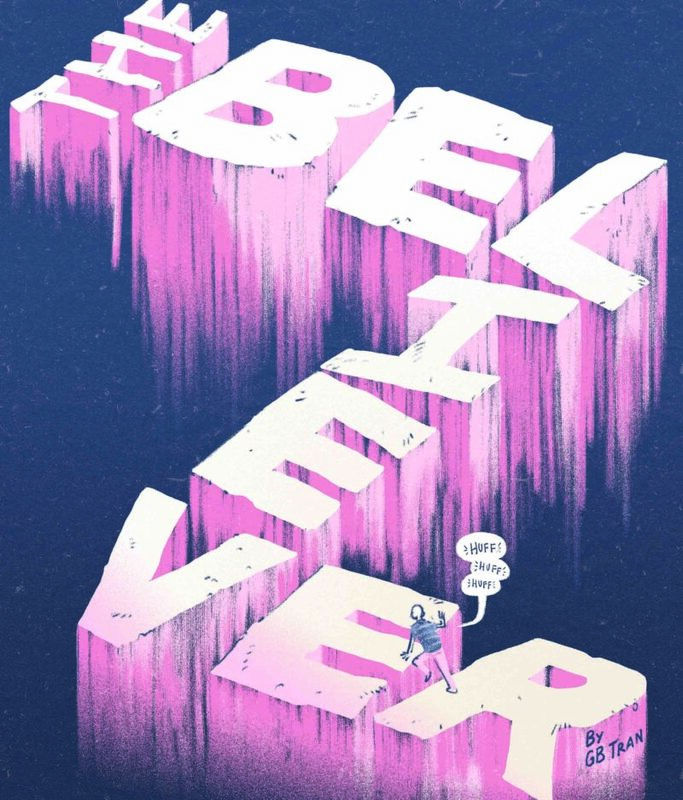 He makes his long-awaited return to comics with “The Believer,” in which he reevaluates what it means to be an artist post-fatherhood. GB TRAN: LOL: extreme navel gazing. GT: My stories always start in my sketchbook. 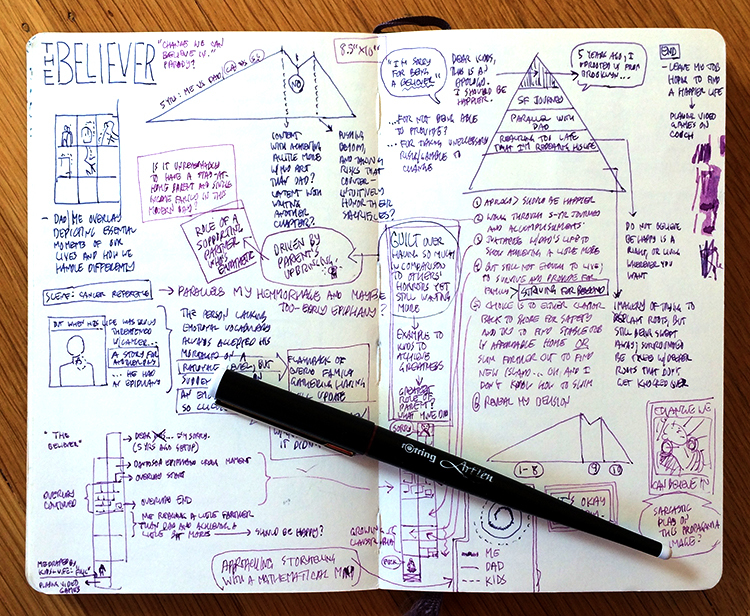 That first spark of an idea and—more importantly—many iterations of that idea scribbled out. 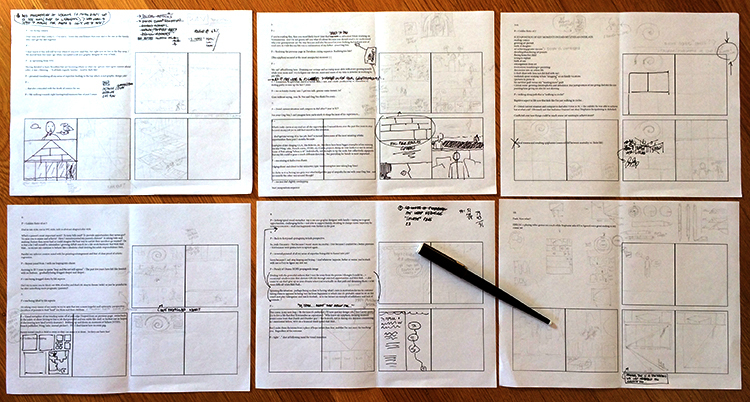 Carving with chicken scratches and half-thoughts to determine whether it’s something really worth making into a comic. Making comics is all uphill. 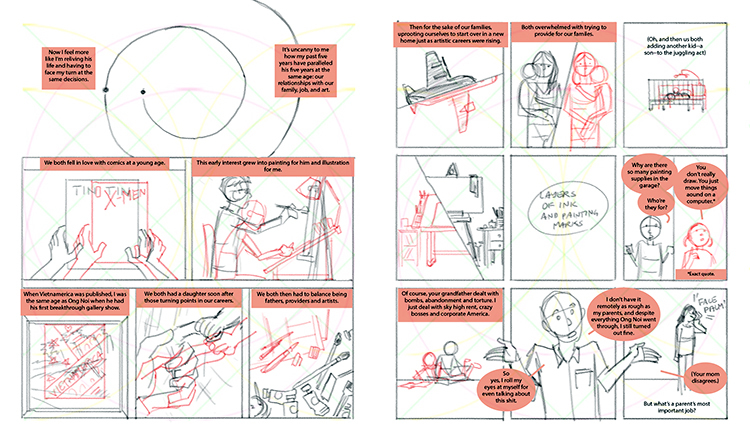 If I think there’s a meaningful ending, satisfying middle, and interesting beginning then I’ll start paper thumbnails, bouncing between pictures and words. After that, if I’m even more excited and challenged by it then when I had that initial spark, it’s early mornings and late nights hunched over my Cintiq bringing it to life. GT: Every part: deciding on the visual style, trying to write compelling dialogue, wrangling the emotions of doing a story that announces a major shift in my life’s current direction, etc. But that’s how I know the process is working—the more difficult it gets, the more vital it is to complete. And the most challenging aspect was the same as for all my stories: keeping my second-guessing to a minimum and having faith that the finished work would emotionally resonate with a reader. GT: If I didn’t, my wife and kids would find life with me miserable. GT: Cartoonists whose stories explore a range of emotions in visually unexpected yet harmonious ways: laughter, tears, and everything in between. It’s the stories of totally foreign experiences that are still relatable that linger in my head the longest. GT: Scott McCloud’s Understanding Comics. I revisit it every time I start a new project. 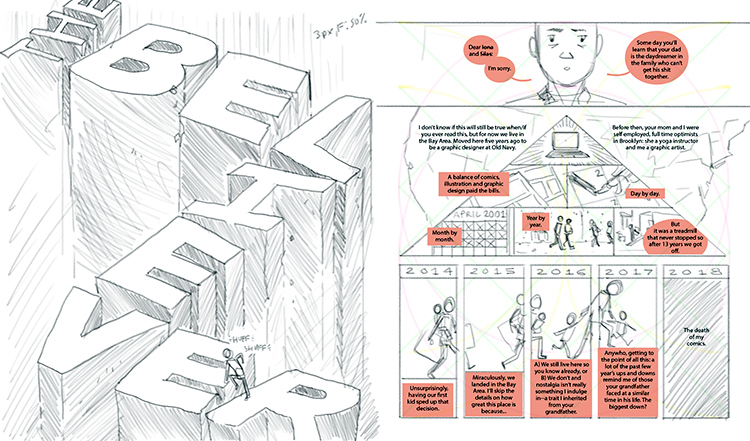 GT: Without any spoilers, my “Believer” comic reveals where my work-focus is currently. Additionally there’s my ongoing webcomic FatherhoodSurvivalGuide.com, and I’m spearheading a comic anthology that explores immigration. It’ll hopefully, in a unique way, help elevate the anthology format to something greater than the sum of its parts. Also, I’m working on two children’s read-to-me book ideas because I’m a parent and inevitably that’s what parents who write and draw try to do.